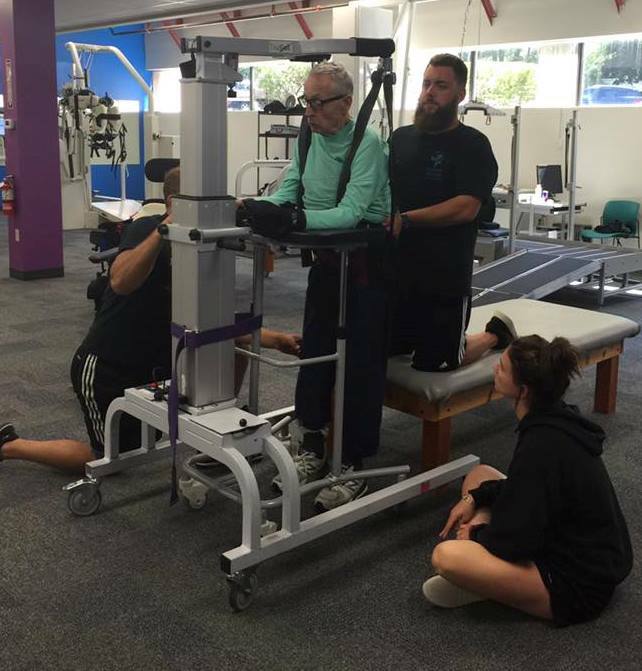 In May 2014, following a motor vehicle accident that left him paralyzed, Tom Nowell continues to work hard to maintain his strength and function. Diagnosed as a quadriplegic, Tom has negligible abilities of his upper and lower extremities. He is fortunate to have enough movement to be able to drive his power wheelchair independently. But he has to rely on personal care aides to help him with all other aspects of his daily life such as bathing, dressing and eating. 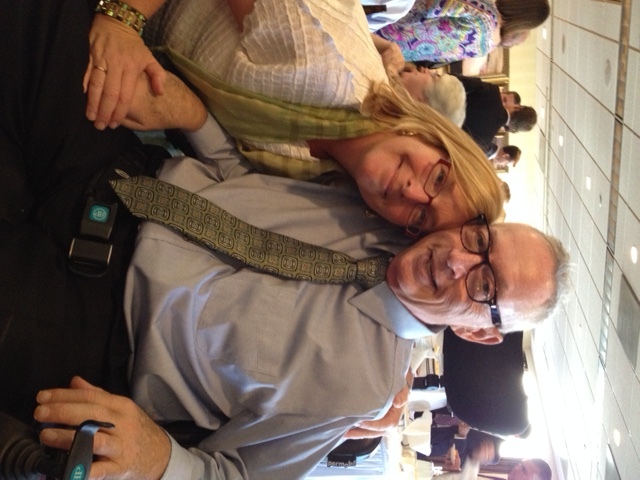 Stephanie, Tom’s wife, has worked tirelessly to get him everything available to him to enhance his quality of life. Extensive renovations were completed on their home in Rhode Island allowing Tom to return to the home he loves. 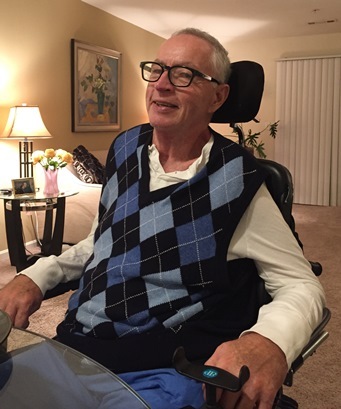 Tom has full access to the first floor and a Hoyer lift was installed to allow his care givers to transfer him in and out of his chair more easily. Stephanie also has purchased a wheelchair van with a lift to allow Tom mobility in the community. Even though Stephanie is a rehabilitation counselor by trade and is well versed in the care of those with traumatic and catastrophic injuries, it has been extremely challenging for her to ensure that Tom gets the care he needs. He continues to participate in rehab activities to not only maintain his current level of functioning but he has the hope to walk again. 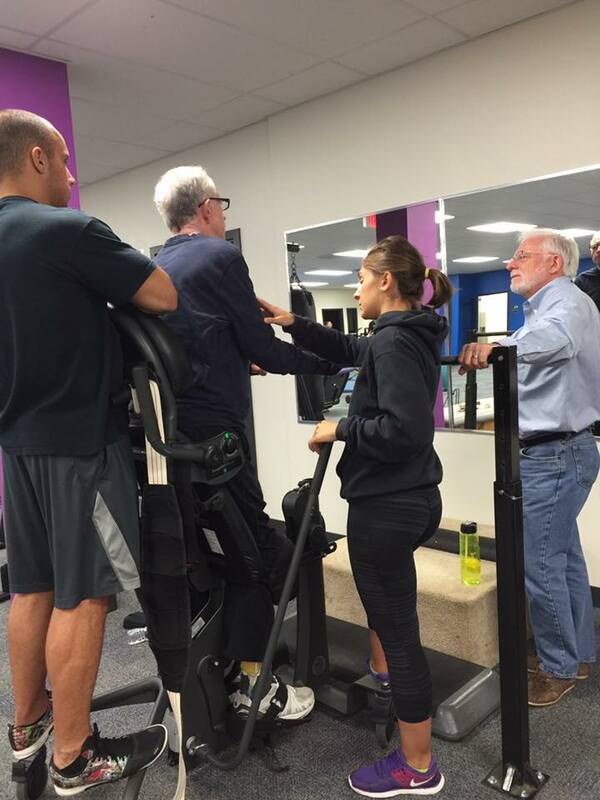 He attends a program which he likens to a “boot camp” for spinal cord injuries. Here they have him walking, standing, riding bikes, lifting weights which Tom describes as the “agony and ecstasy.” It makes him feel like his old self to be able to be involved in this program. He also engages in alternative therapies such as massage and yoga to develop his mind-body connection and manage his chronic pain more successfully. The costs associated with Tom’s medical care are staggering – much of the durable medical equipment, his personal care aides and the Journey Forward program are not covered by insurance. Annually Tom’s out of pocket expenses run between $150,000 to $300,000 and will likely reach up to a million dollars over his lifetime. To help offset these expenses, a fundraising campaign in Tom’s honor has been established. On behalf of Tom and Stephanie, I thank you for your support. Together, we can make a difference for Tom. Tom, we know you through Grace Ricco-Peña. ML and I send you MUCH love and wishes for continued improvement!! Tom and Stephanie, what courage and strength you have you are my heroes and I loved spending time with you last week. Tom and Stephanie, Thanks to Grace for keeping us all connected. Your courage and persistence is awesome.and we are happy to do what we can to help, You continue to be in our thoughts and prayers always. In honor of your friendship and love for Grace RP, all the wonderful times you shared and all the joy your presence has brought to so many. I do not know you--and I love you. Tom and Stephanie: You are both the picture of strength, concern for others and love for love. Thank you for your great example on how to live each moment. Dear Tom and Stephanie, I sent a long email...hope you got it. My prayers, love and healing Reiki are going out to you both. Hi Tom and Stephanie, keeping you both I'm my prayers.Stephanie, my wife had similar dx.and surgery if you need to talk to someone. Also, I heard you my be organizing a fundraiser where you might need music. If so Jeff and I are in. Prayers. Hi Tom, We all miss you like crazy on Charlestown's Park and Recreation Commission. We look forward to when you can make it to a meeting. We are saving your spot. We need you and your great intellect and compassion. Bill and I send our love and peace to you and Stephanie. Dear Thomas and Stephanie, I am sending my best thoughts to both of you. I know you have a myriad of people surrounding you with love everyday. Hi Tom and Stephanie, So great to see pictures of Tom and seeing his amazing progress. We know that there is much more to the story than these pictures tell. You are in our thoughts and prayers-- praying for continued healing for your both and that you are continuously surrounded by those who love and support you.